You guys! 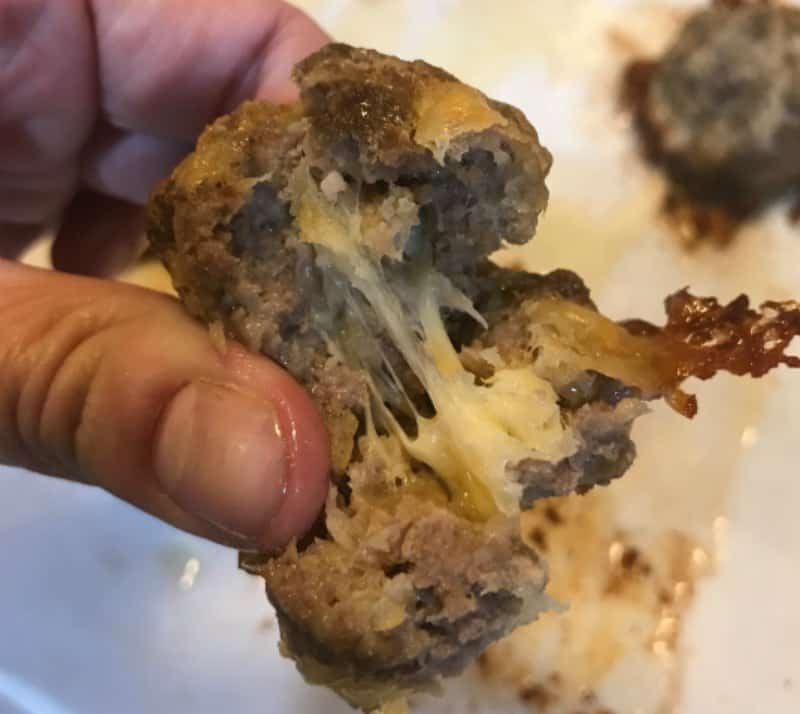 Look at these Keto Cheese Stuffed Meatballs! How amazing are they?!! I was up late one night just browsing Amazon when I came across the most interesting kitchen tool. 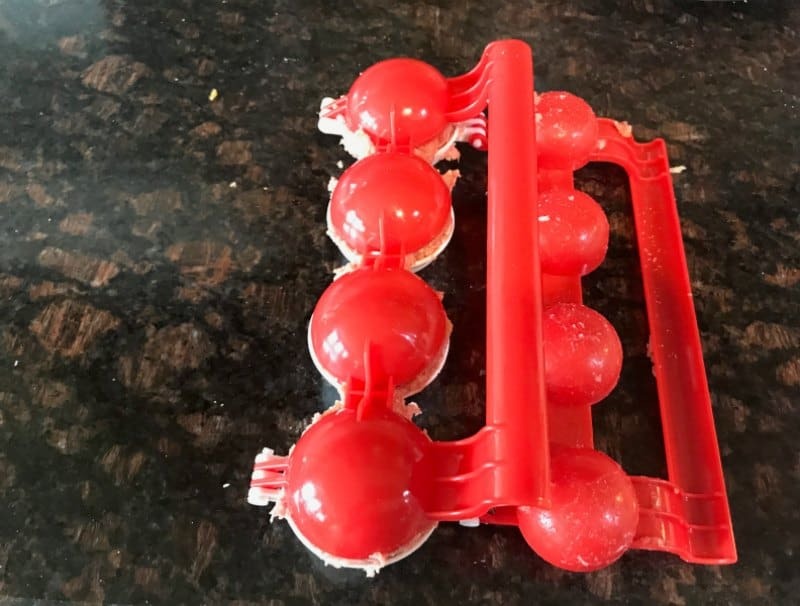 I looked at the picture and couldn’t figure out what it was or what it did. 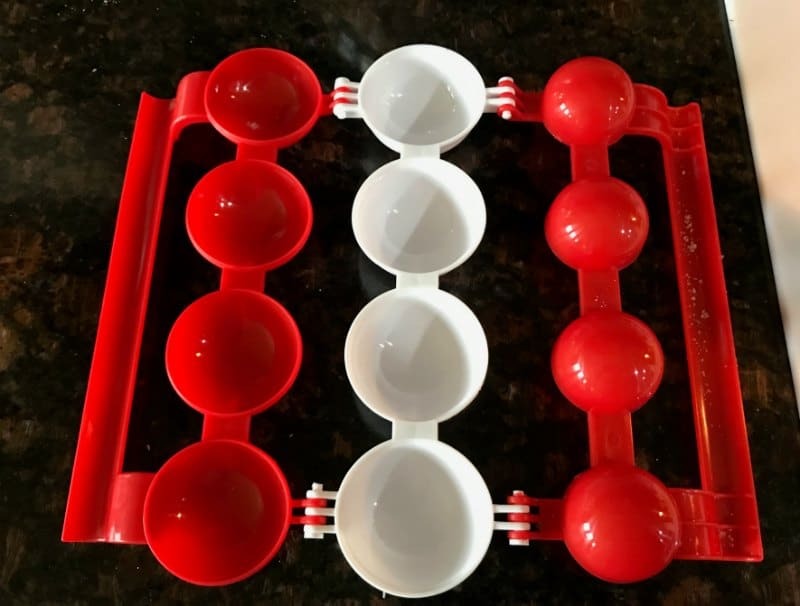 Out of curiosity, I clicked the link to learn more… I was in awe when I saw it was a meatball maker! 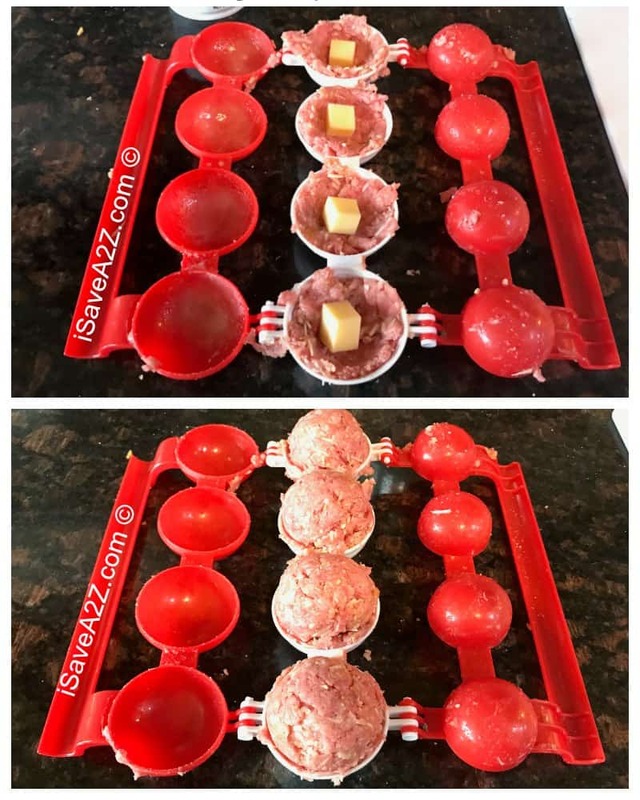 Perfectly shaped meatballs every time! 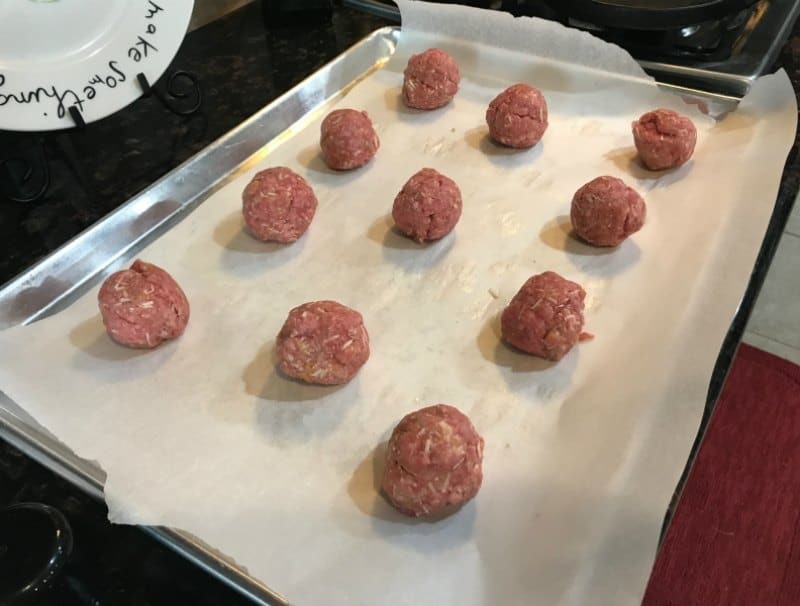 I’m not so OCD that I need meatballs to be shaped perfectly. 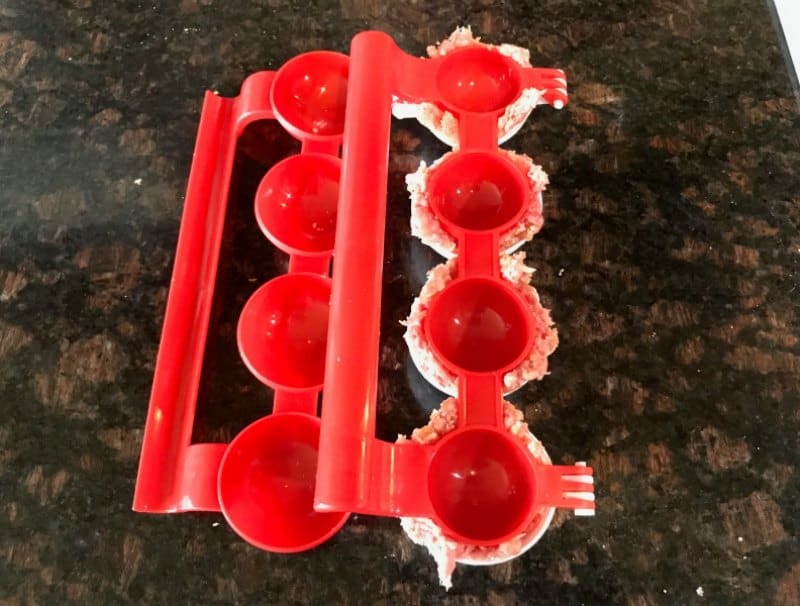 (well, I might be) The thing that stuck out the most to me was the way it carves out the center allowing me to stuff those bad boys! 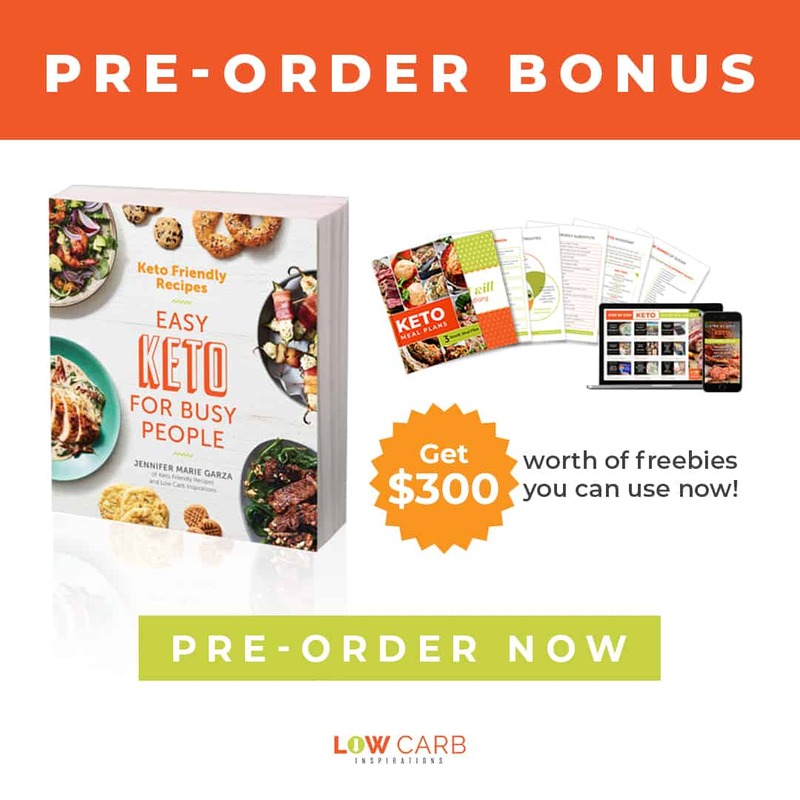 Holy Keto Heaven! 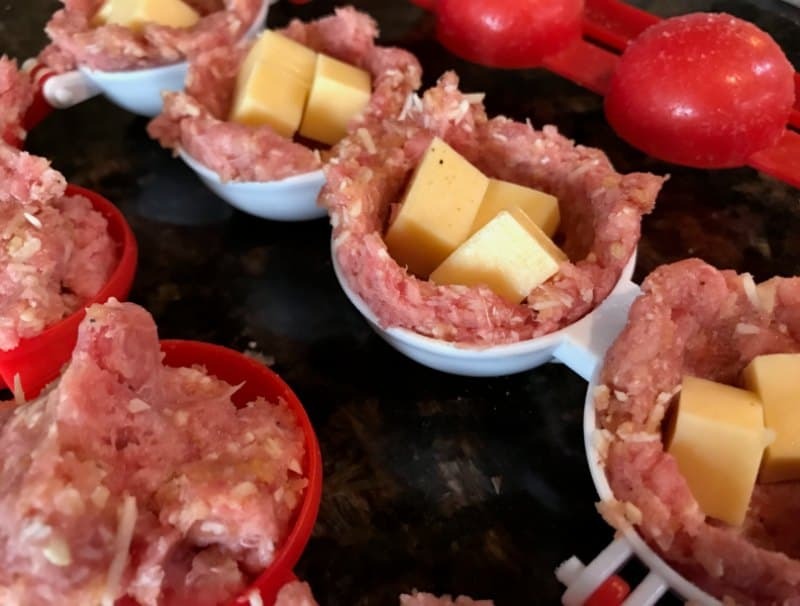 I imagined cheese oozing out of those meatballs and my mouth began to water. 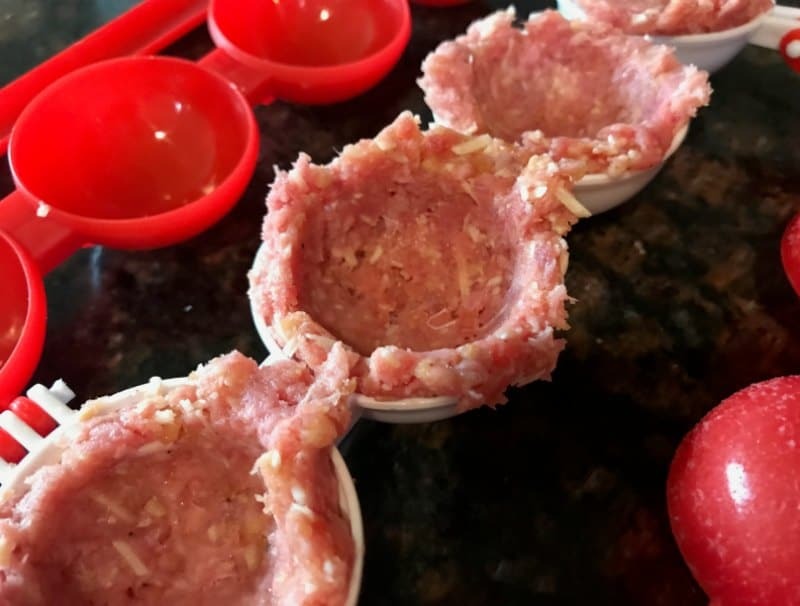 This Ketogenic diet has me experimenting in the kitchen in all kinds of ways! 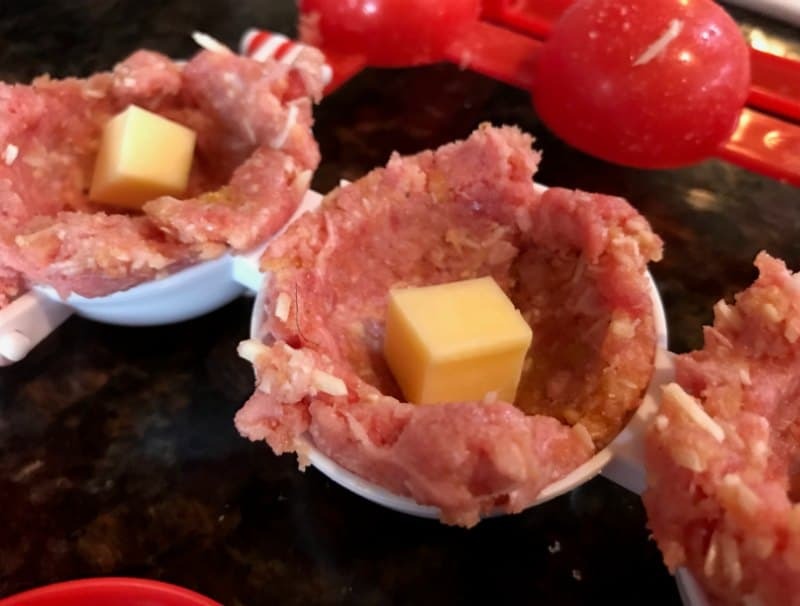 This Ketogenic diet has me experimenting new recipes all the time! Cheese and meat are allowed on the diet, so next thing you know I was checking out and waiting for my delivery! Thank you, Amazon Prime for fast shipping! 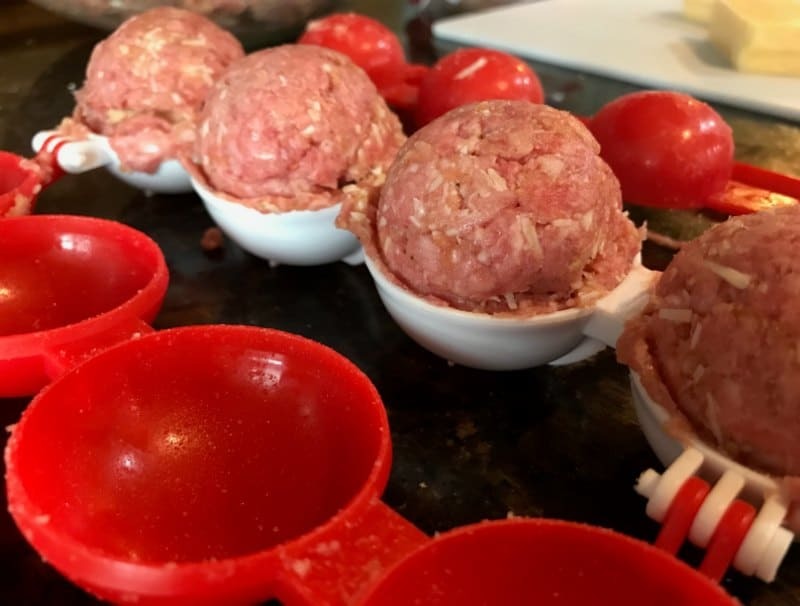 If you are just here for the meatball recipe, that’s cool. 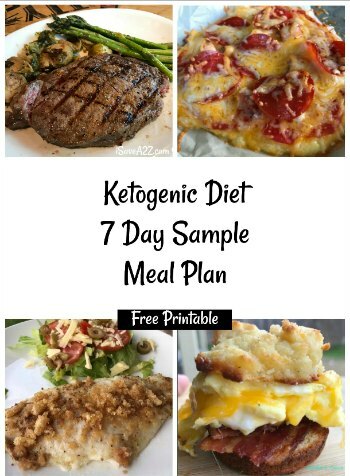 But I highly encourage you to take 5 minutes and read the Simple Way to Start the Ketogenic Diet. I hate calling it a diet because to me it’s a way of life. It’s an awesome way of life! I feel great and I have tons of energy. No pills, no special shakes, no gimmicks. Just really good food, like this recipe here! It WILL change your life! 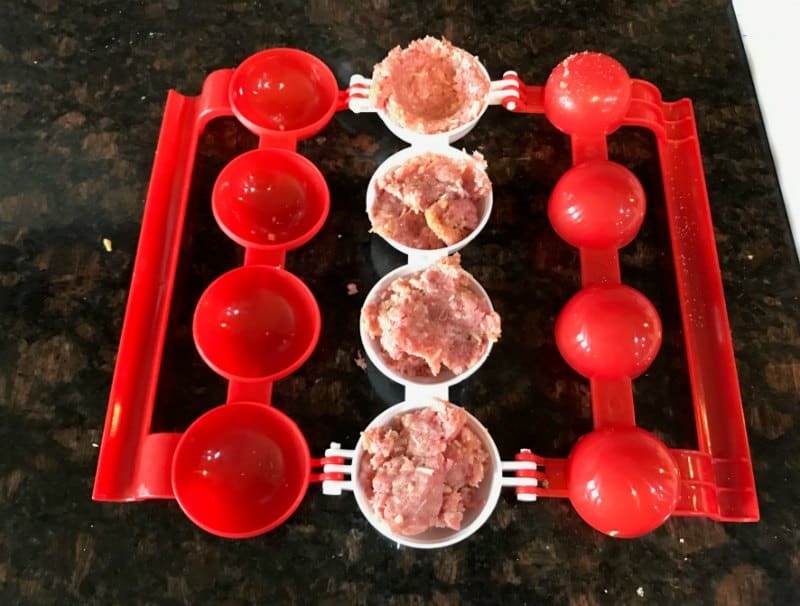 Here’s a Keto Meatball Recipe you have got to try! Serve these meatballs up with a side salad and a little bit of sugar-free ketchup and you have a tasty dinner. 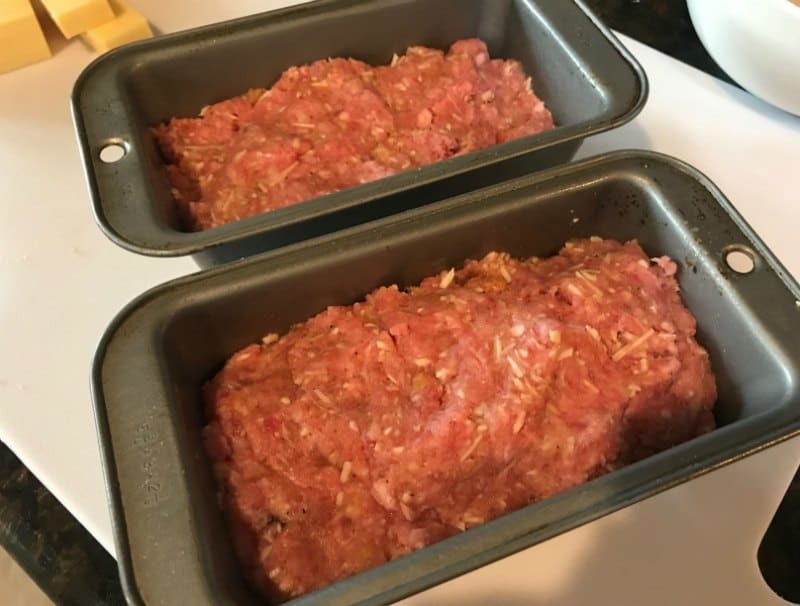 Also, this is the same recipe I use for meatballs, Meatloaf, and meatloaf muffins! I always make a double or triple batch. This way the prep is done only once and I can make about 2 or 3 meals out of it! 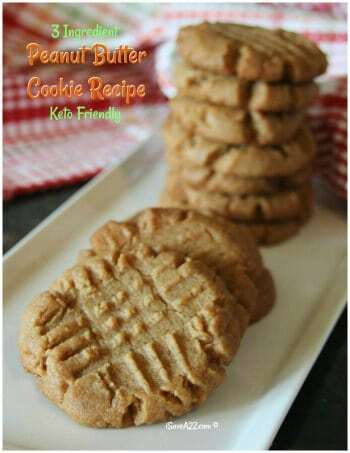 Grab the printable version of this recipe at the very bottom of this post. 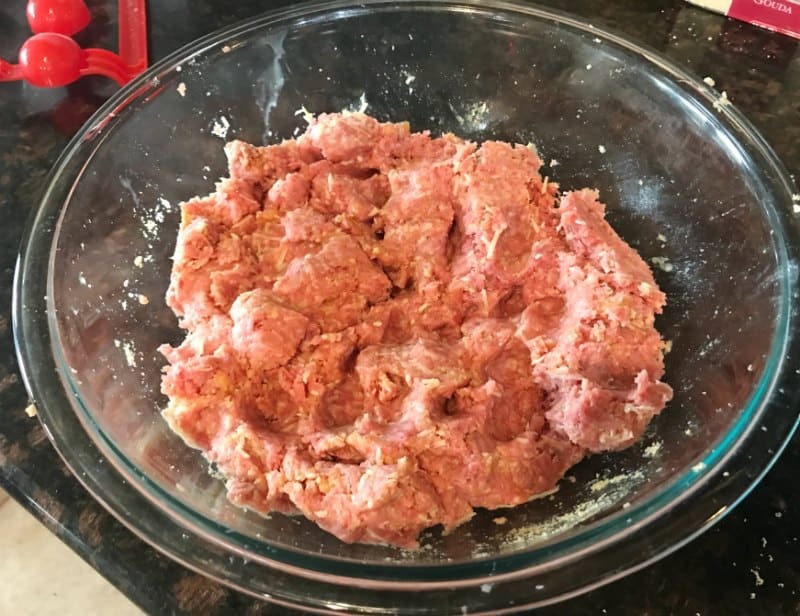 First, grind the pork rinds in a food processor or blender until they become the consistency of bread crumbs. Oh, and here’s a tip! I love to use the flavored pork rinds too. Salt and vinegar are amazing in this recipe. 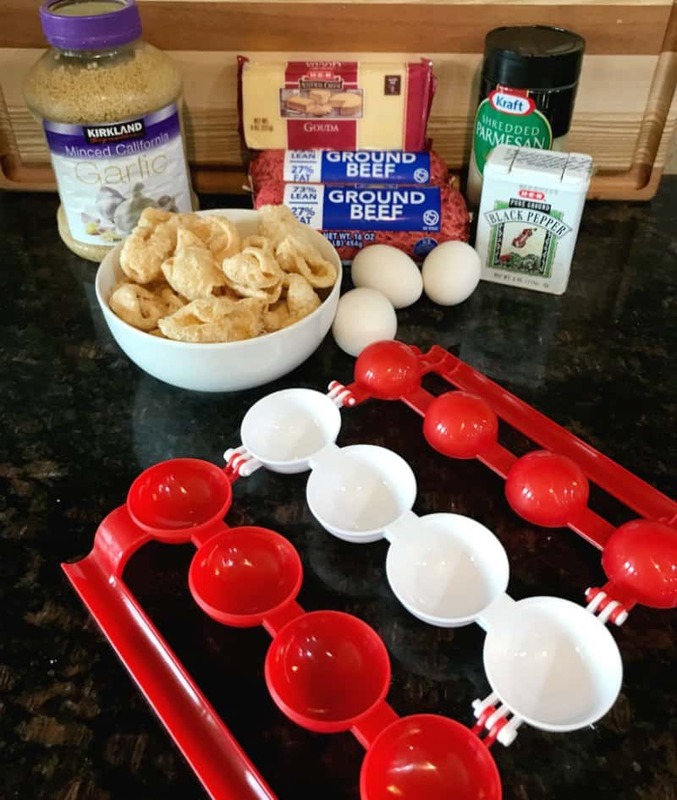 Combine all the ingredients together except for the cheese cubes for the center. I use my hands to combine it all. It’s the easiest for me. 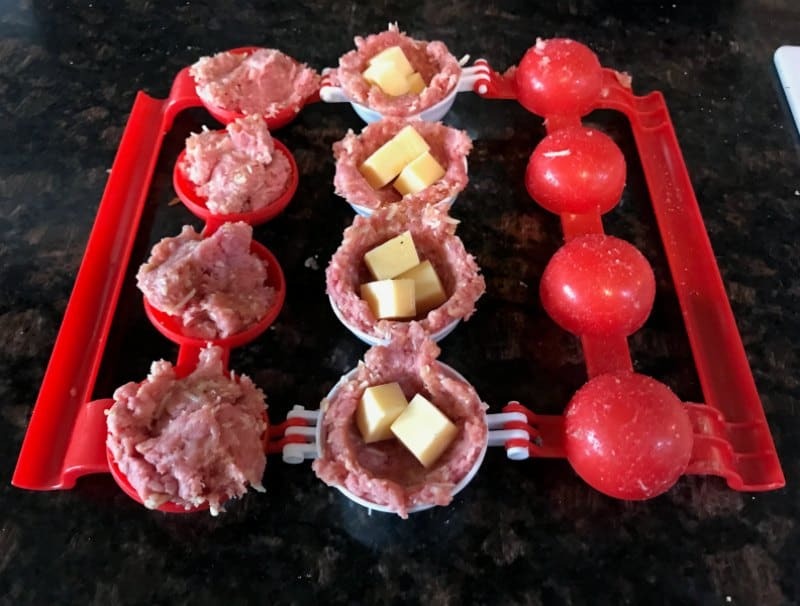 Next, use the meatball maker or your hands to form the meatballs while adding a couple of cubes of cheese to the center. 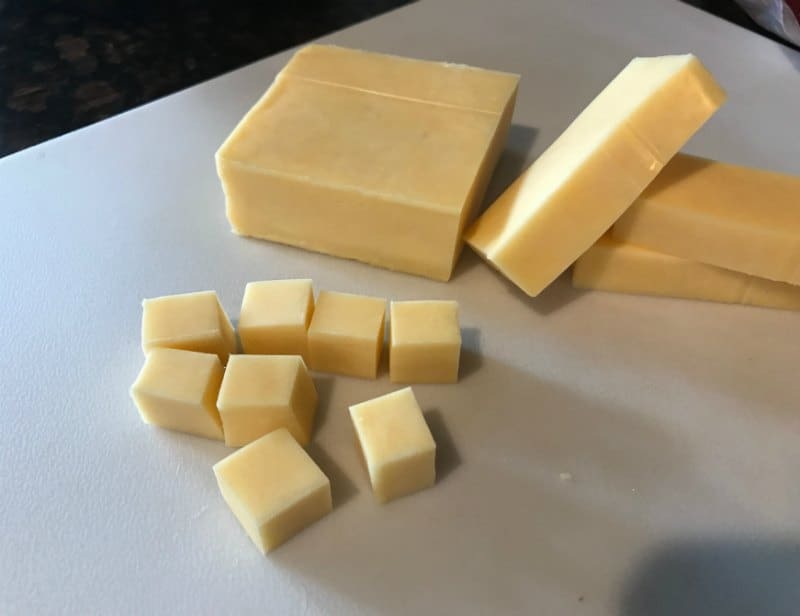 My personal favorite is pepper jack cheese! YUMMY! Bake at 350 degrees for about 20 minutes. Serve warm. 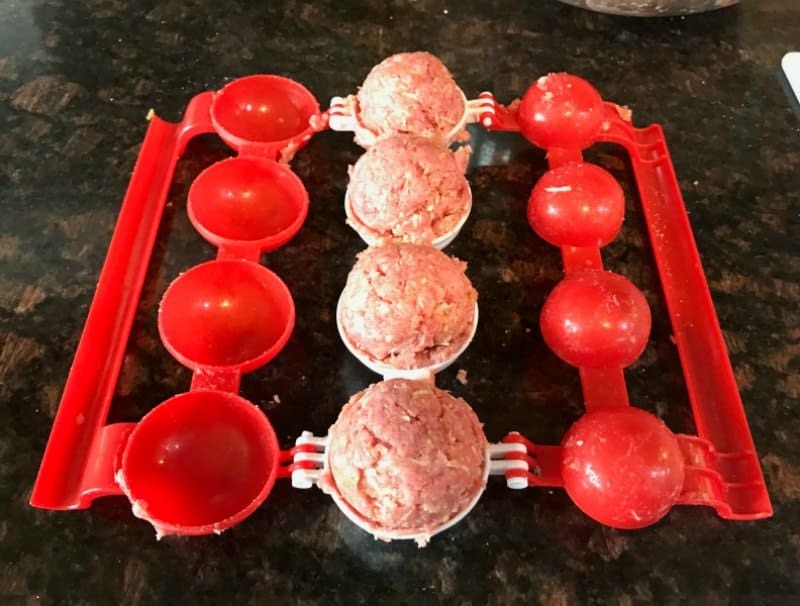 This recipe makes about 10 to 12 large meatballs. This is where I start to prep for freezer meals ahead of time when I make the double or triple batch of meatballs. 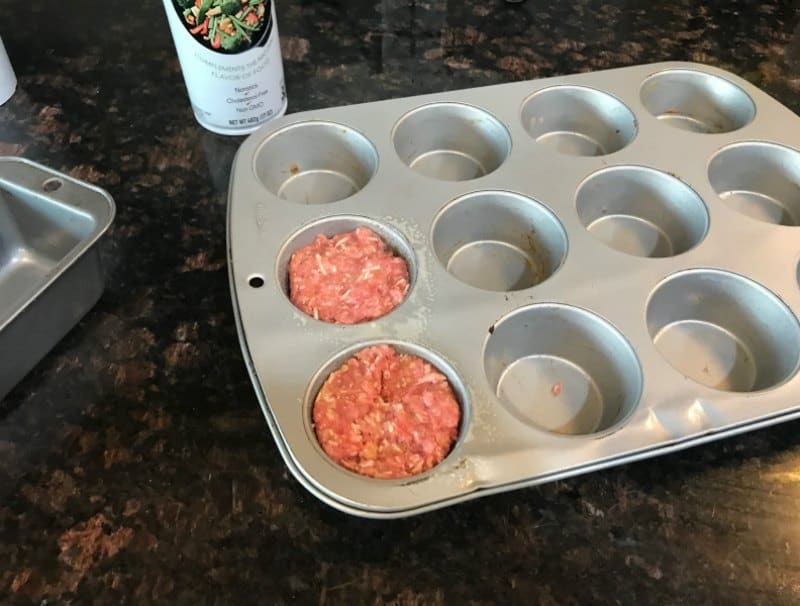 I like to use mini loaf pans because they cook fast. 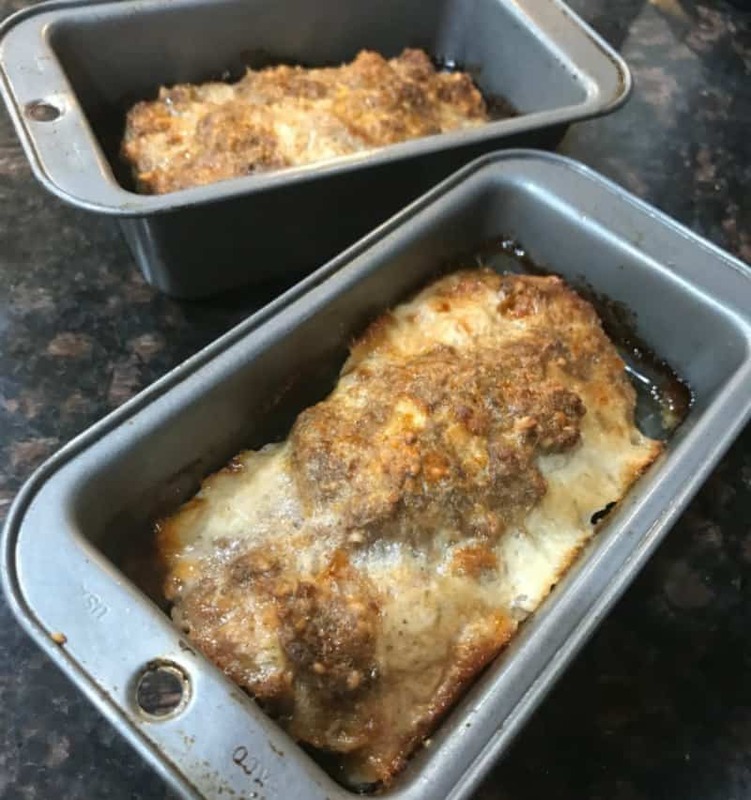 Yummy meatloaf! Top it with a little sugar-free ketchup when you are ready to eat! 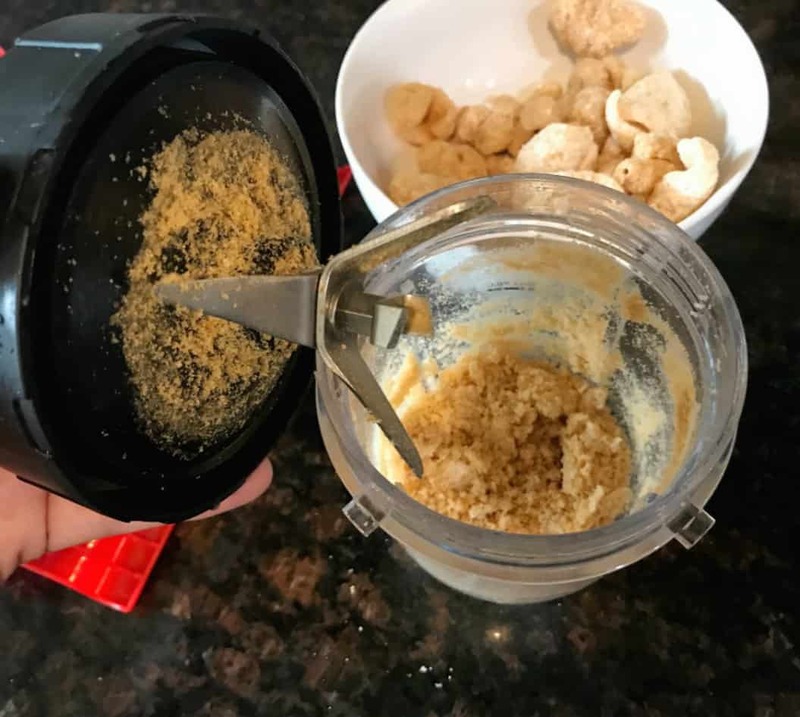 First, grind the pork rinds in a food processor or blender until they become the consistency of bread crumbs. 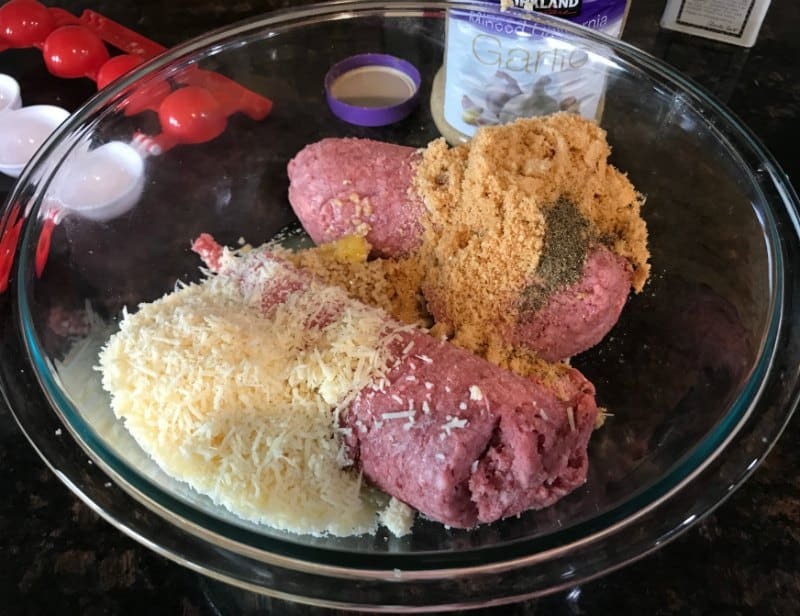 Combine all the ingredients together except for the cheese cubes for the center. I use my hands to combine it all. It's the easiest for me. 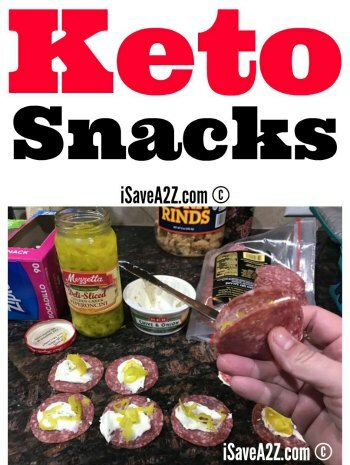 By Jennifer on August 31, 2017 Appetizer, Keto Appetizer Ideas, Keto Breakfast Recipes, Keto Dinner Recipes, Keto Friendly Recipes, Keto Lunch Recipes, Main Dishes, Side Dishes.